- Added quests. Do the tasks, get the coins;. - Added new locations in the shooting mode;. - Improved shooting;. - Bug fixes. Do you like war games? Do you dream becoming an armament designer? Download the Gun Builder 3D Simulator app, design your own weapon and use it in the games with friends. Run the app, choose the model of weapons, add various accessories and you are ready for the virtual battle. Choose a target, shav... xem thêm Do you like war games? Do you dream becoming an armament designer? Download the Gun Builder 3D Simulator app, design your own weapon and use it in the games with friends. Run the app, choose the model of weapons, add various accessories and you are ready for the virtual battle. Choose a target, shave the shutter and shoot. Realistic shooting sounds, visual effects of weapons charging and the drums spinning will make others believe it is real. Improve the design of weapons until achieve the desired combat characteristics and effects. Share the collected weapons with the friends and test it in virtual fight. Play and learn armament to become a great designer. Please note. 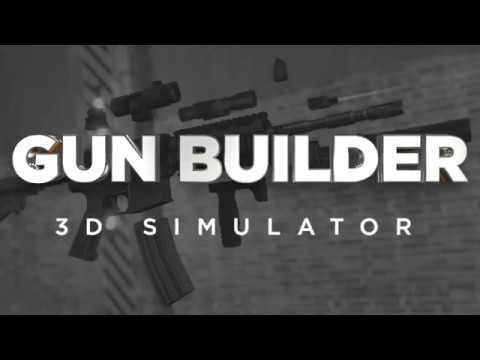 Gun Builder 3D Simulator app was created for games and entertainment. Virtual weapons can not cause damage and harm the health of others.